AUGUSTA, Ga. - April 5, 2018 - PRLog -- Global Entertainment Technology, Inc., ("GET"), a Wyoming C corporation, is offering more guidance on how its small market Terrestrial Radio programming will be presented and act as a portal to the Company's Internet Radio offerings in the future. GET CEO, Dain Schult, stated, "From the beginning we've always considered the American Radio & Internet ("AIR") division to serve two different ways – one, on the Terrestrial side and the other being the Internet offerings. Clearly, we're going for "meat and potato" programming on the Terrestrial side of operations. With our involvement in small market/rural areas, we plan to continue with the formats that made those stations successful and profitable in the first place. "That means that Country, Adult Contemporary, Classic Hits, Classic Rock, Tejano and News/Talk/Sports will be the predominant Terrestrial formats and even then, it really means that we're bringing in marketing and branding ideas, servicemarks, copyrights and websites specific to GET but not new formats. 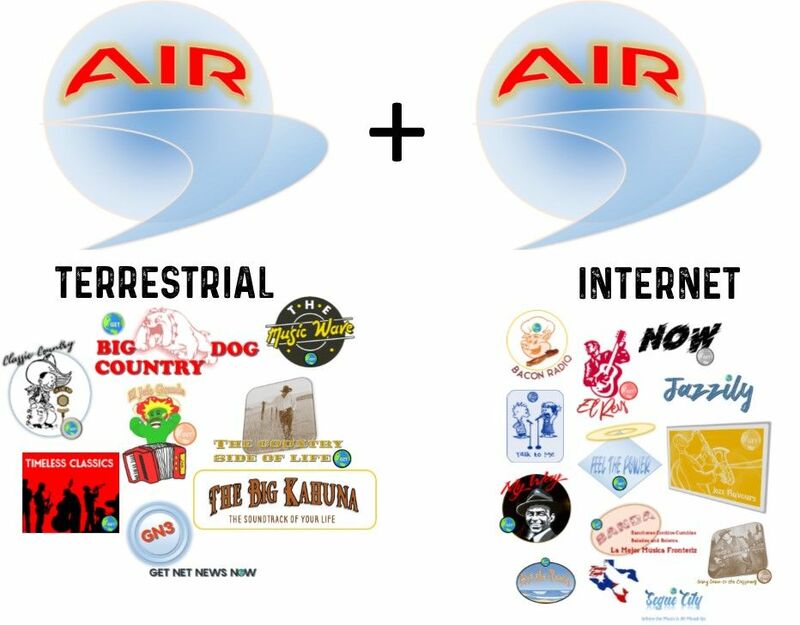 Included is a picture of various logos for both GET Terrestrial and Internet Radio. "We're not looking to change formats in any of these stations GET will acquire. We're not going to fix things that aren't broken, and these stations already have history and track records in their respective markets, so it makes no sense to prove that we're "the experts from out of town" and know more than the people who live and work there, because we don't. "There really is an unspoken 'Twenty Year Acclimation Law' in these towns so our goal is to leave no fingerprints and let the stations continue to grow and be local. "What we will do is aid the bottom line of these stations with the addition of several revenue streams that include high speed wireless broadband, energy production products, mobile advertising and website/app development for advertisers. "So instead of just one revenue stream – on-air advertising – the very same station can have multiple streams utilizing the same facilities and staff. This will set GET stations apart from all the other operators since all these addition revenue streams will be in-house productions and available now as soon as operations can commence. "Radio continues to shine as no other media source is like radio is with its personal, live and local approach. Its great scale that brings truly exceptional ROI. Any advertiser who wants to maximize their marketing budget should add an important portion of radio to their overall media plan. As it is we will be 'one-stop-shopping' for advertisers and end-users. GET will be growing radio's share of media mix ad buys, producing greater search volume, universal campaign awareness and buying decisions. "Internet Radio affords us the opportunity to reach a worldwide audience, so the programming will be much different and much more diverse because the costs involved in format creation, production and programming is lower and allows for more of a boutique approach. Therefore, there will be a wide range of niche formats and short form programming. Several the proposed Internet formats are included in the illustration listed in this press release. "GET will be a holding company for future operations, acquisitions and public trading and will serve as the umbrella for all these AIR operations. Its unique strategy is through its acquisition structure of accumulation, not consolidation. We will partner with each owner of the Terrestrial stations that it acquires. For more information about how the formats will be different between Terrestrial and Internet Radio and everything else GET is doing you can contact Dain Schult, GET's Chief Executive Officer.